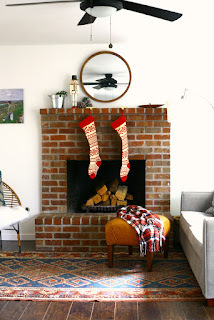 Our simple holiday decor and my FAVORITE Christmas home item! Last year at Christmastime our house was lacking flooring, art, furniture... oh, and our furnace was broken for most of that month. We did have a tree, but beyond that it wasn't very Christmassy! I really looked forward to when I could decorate our new home for Christmas, but that time never fully came because of the change of plans and move. But I couldn't be totally robbed of it. I pulled out a very few of our Christmas decorations, my absolute favorites, and enjoyed them for several weeks before we moved!! 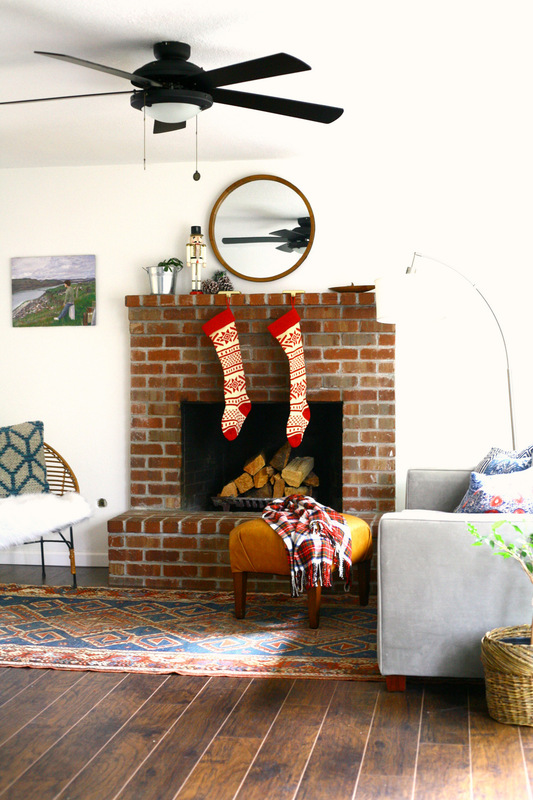 I wanted to share my top few items with you, and the ONE holiday decor piece I am most excited about--and is so easy to bring with us in our temporary living situation, too! Here's our family room with my few fave pieces in it. 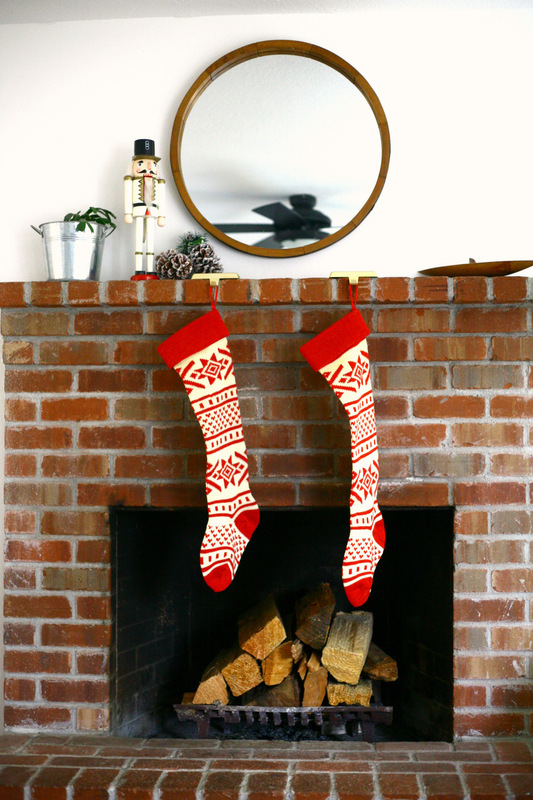 Just adding a red plaid throw, fair isle stockings, and an old-fashioned wooden nutracker made me so happy. I love the bold bright red of the stockings, and they are so cozy and big! One more favorite thing I pulled out of the Christmas decor box--my set of four Santa mugs. I had been seeing these around, I'm remembering a Paleo homemade hot cocoa recipe that I saw that used them so beautifully I think, and I didn't grow up with them so I didn't realize what a tradition they are. I think they've been around for decades! Last year I treated myself to a set of four of these cute Santas. 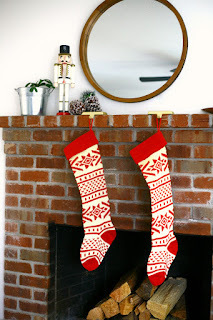 I don't buy a lot of Christmas decor each year, but owning these and pulling them out this year made me feel so good! Great purchase, self. 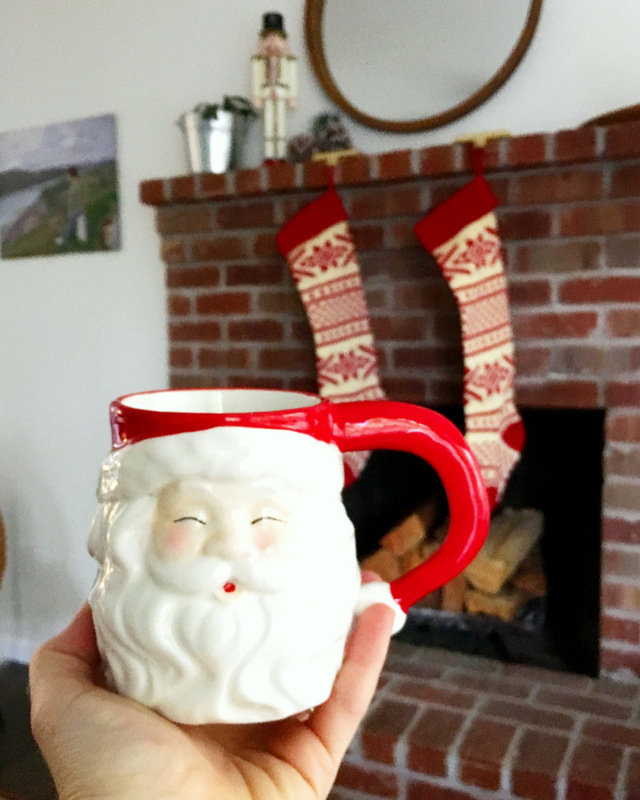 My particular squinty Santa mugs are no longer available, but here are four other great options! I guess I stuck to the basics--red and white. 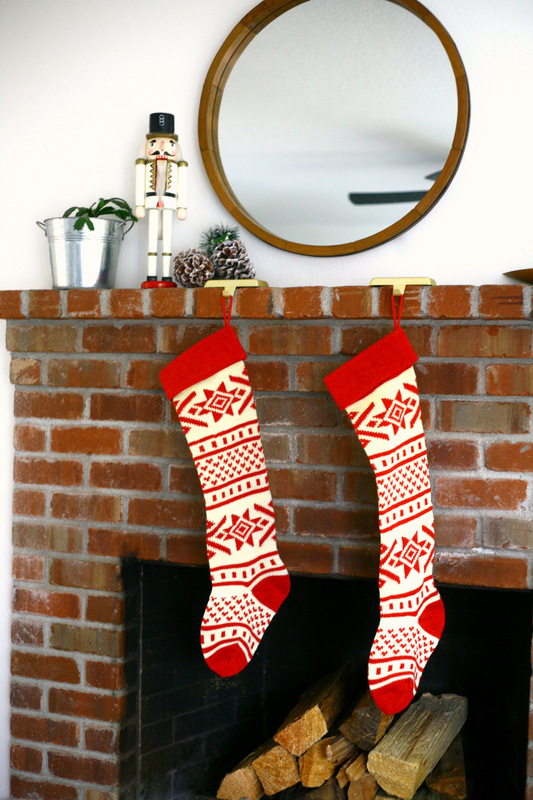 The santas, throw, stockings, and nutracker all go together and made our simple family room instantly festive! Shop my fave pieces here!